Security Camera King features several different digital video security systems and each of them is a web ready DVR security system. 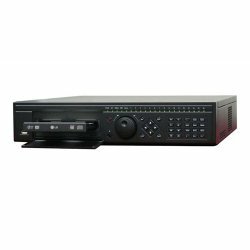 We take pride in offering the highest-quality most up-to-date security merchandise, and that includes our web ready Elite Mini, Elite Series, and Ultimate Series Digital Video Recorders or DVRs. These days everyone’s work and personal situation is different so versatility is the key to digital video camera security system that can work for all. Security Camera Kings do-it-yourself security systems are easy to install and a cinch to set-up and operate. What’s more, since each DVR is a web ready DVR security system, once installed you can access your system anywhere in the world where there is broadband internet access, and that includes using your 3G or 4G smartphone. There are several ways of using the Internet with digital video security system components. These components are usually designated as IP or Internet Protocol ready, such as an IP Digital Video Security Camera. They are also referred to as “Web ready” such as a Web ready DVR security system. In the following article, we’ll take a look at the differences between IP ready cameras and IP or Web ready DVR security systems and look at some of the benefits or features of a Web ready system. Web ready digital video cameras are different from ordinary digital video cameras in that they do not directly connect to the DVR. In fact, Web ready cameras don’t have to connect to a DVR at all. Web ready or IP cameras use the internet as a vehicle for networking. They can connect to a DVR remotely, thousands of miles away, via the internet. They can also be viewed and controlled via the internet. Each IP ready camera contains its own web server technology and connects directly to the Internet via a broadband internet connection. The connection is usually via a Cat 5 Ethernet cable or wirelessly to a wireless broadband modem or router. Of course, most are WiFi compatible. The camera’s digital information is streamed over the Internet. It may be downloaded and saved on a personal computer or Internet connected DVR and it can also be viewed live using a personal computer, a Web browser, and an Internet Connection. Another way of taking advantage of the versatility of the Internet is by using a web ready DVR security system. Like the IP digital video camera, the DVR contains the Web server technology. However, having a web ready DVR security system is far more powerful that just a Web ready camera. In a typical Web ready DVR security system, each camera connects directly to the DVR first. It may do this using a video data transmission cable such as an RG-59 Siamese cable or it may connect wirelessly using an on-board transmitter and a corresponding receiver that is connected to the DVR. The system can be used like any non-web ready system. The cameras send their video data to the DVR unit which also includes a Digital Signal Processor that runs on an operating system. The unit compiles the camera’s data and creates a digital video file that can be stored on the DVR’s hard disk drive and/or viewed live on a monitor. However, since the Web ready DVR security system is connected to the Internet, the cameras may also be monitored remotely, anywhere in the world there is broadband internet access (including smartphones). You can even record them remotely, as well as on the parent DVR. But there are some additional benefits as well. For example, any Pan-Tilt-Zoom (PTZ) camera not only can be monitored remotely but can be controlled remotely via the Web ready DVR Internet connection. 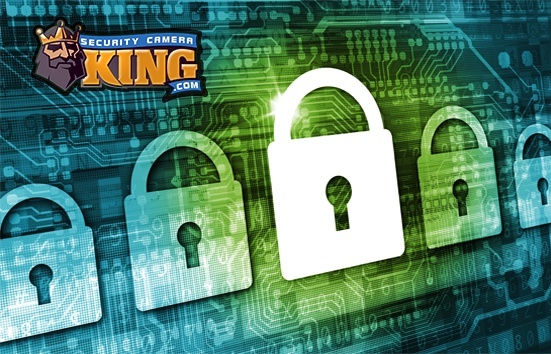 Security Camera King’s featured systems support two-way audio over the Internet as well. Further, the DVRs support up to 10 network or Internet users simultaneously. Also, many web ready DVR security systems require a static IP address that normally will cost extra through your Internet Service Provider or ISP. Our web ready systems use Dynamic DNS support, which means a static IP address is not necessary. Last but not least, our Web ready DVR security systems also support standard POP email accounts. This means you can program the system to email you anywhere at anytime based on several different triggers that you set. So when it comes to versatility Security Camera King’s Web ready DVR security systems do it all. Crime has become increasingly more digital. It is done with ease, almost unnoticeable, hard to trace and able to be done from anywhere. Pre-date main stream technology, if someone robbed a bank, all we had to do was simply turn our heads and look at those who were in the vicinity of the bank being robbed. Now that it can be done digitally, when someone robs a bank, it can be anyone on the face of the earth that has a computer and an internet connection. The thought of this is very disturbing.